The word arthritis is a generic term and encompasses many different types of conditions of the joint. Osteoarthritis (OA) is the most common form of arthritis and is present in 20% or 1 in 5 dogs over one year of age. When the term arthritis is used it will generally refer to OA, which is also known as degenerative joint disease (DJD). Arthritis typically leads to pain, lameness, joint inflammation and reduced mobility, resulting in a reduced quality of life. 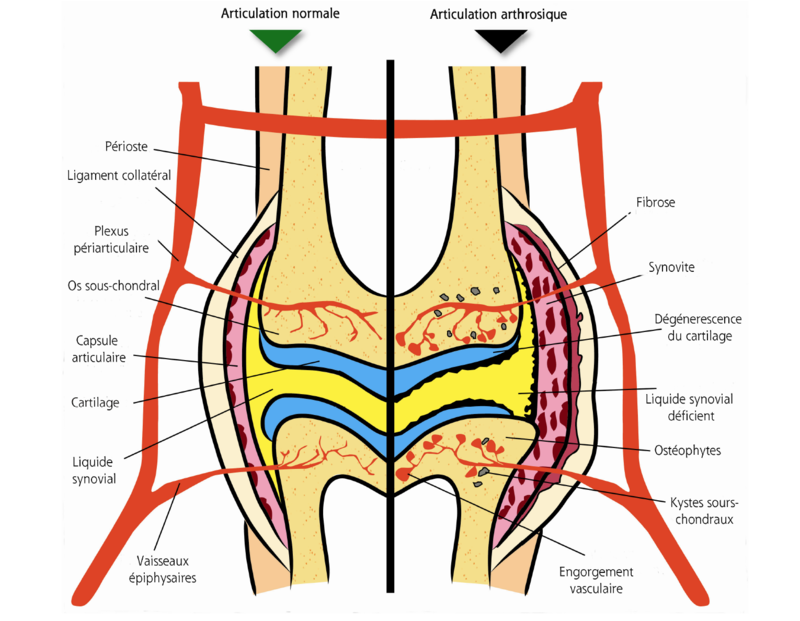 The diagram below provides a comparison of a normal joint and a joint affected by arthritis.